The 4th PatrasIQ exhibition was held at the Pampeloponisiakon stadium, Patras, between Friday, April 7th and Sunday, April 9th, 2017. 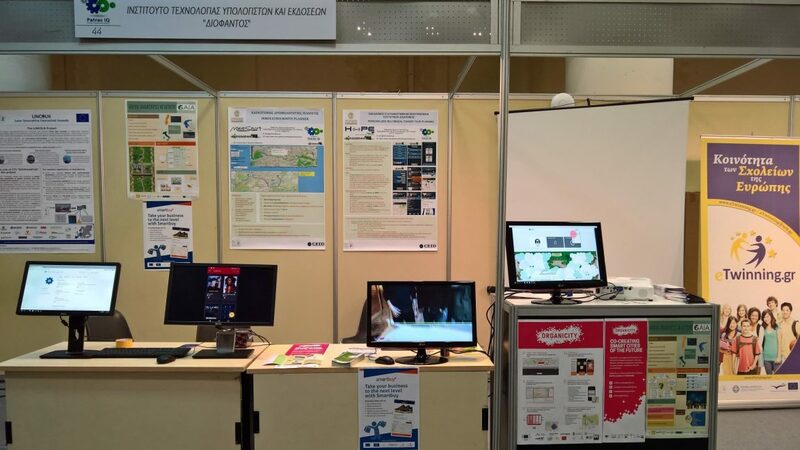 With 100 exhibiting teams in 88 kiosks, the exhibition presented to the general public research being conducted in academic/research institutions, SMEs and startups in Western Greece. With over 7000 visitors, PatrasIQ is one of the largest science exhibitions of its kind in Greece. In the kiosk of CTI, visitors had a chance to learn more about GAIA and see the application prototypes being developed. The kiosk of CTI was also visited by former prime minister G. Papandreou.